You may wish to put a photo or a lock of your baby daughter or son inside which could become a family heirloom for the future. 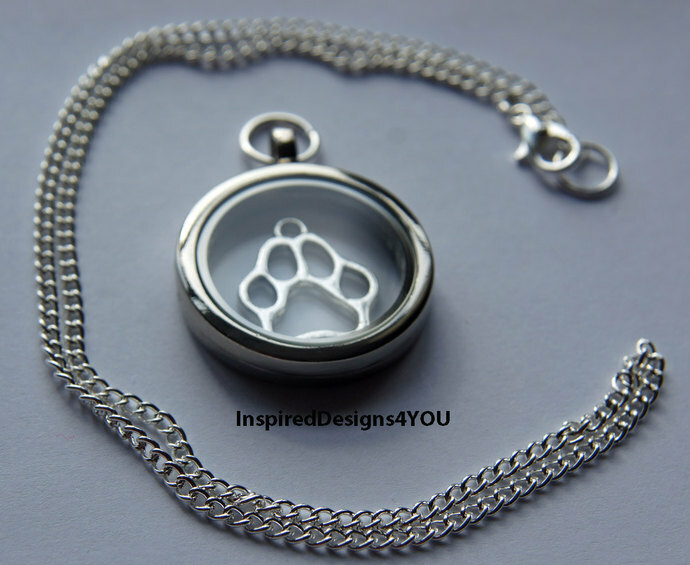 The beautiful glass magnetic hinged memory and will close with little effort, protecting your precious memories from the elements. This would make a lovely baby shower or Valentines gift. Suspended on a 16 inch silver plated chain. This must be seen to be appreciated. 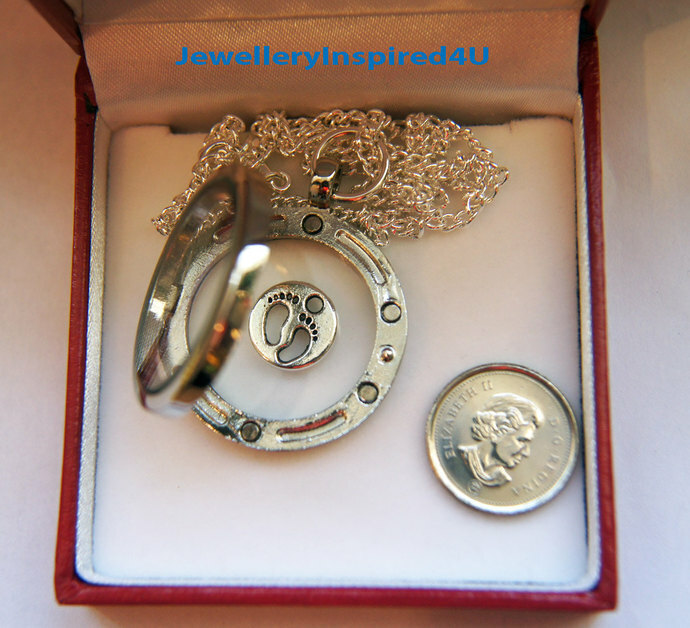 This listing is for one locket, charm and chain as shown in a jewellery box for gift giving. Recently I gave this to my cousin for her new baby daughter. 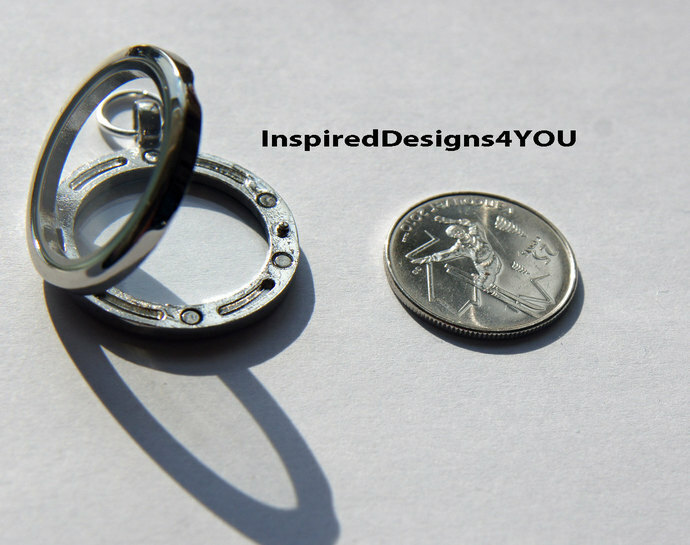 Measurements: Locket - 30mm (1.18 inches) Charm - 20mm x 17mm (0.78 x 0.669 inches) Made from high quality zinc and alloy free metal that resembles stainless steel. 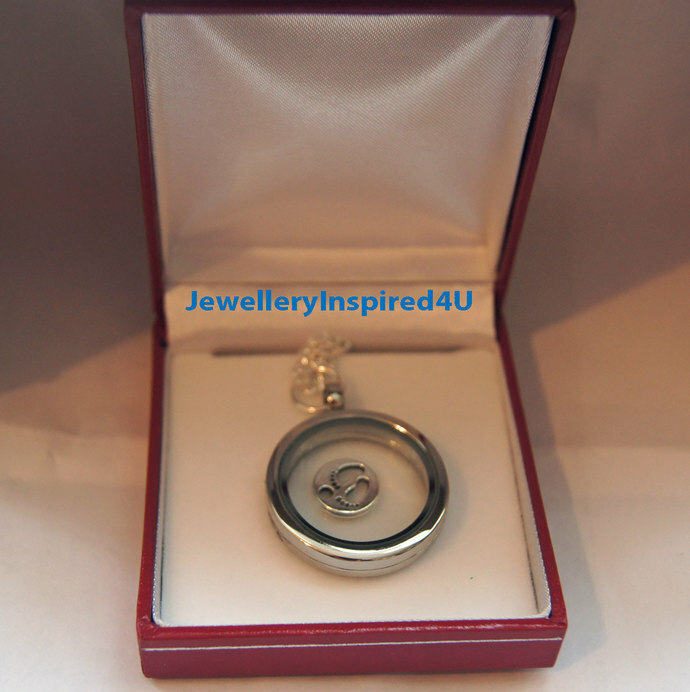 Photo # 4 shows the locket open and the size. The items have been enlarged by 25% to show detailing for photographic purposes otherwise the thumbnail would be very small. I simply adore children and little ones. Thank you for shopping. ^..^! Shipping: All items are shipped to Canada by Regular mail (for Express or Expedited with tracking) Items to the USA via Canada Post via International Small Package regular mail unless you wish tracking. Please contact me before final check out so I may assist you.